Since 2003 New Hope Celebrates has hosted one of the first Prides of the season in May. Usually held in June, there are over 1,000 annual Pride celebrations worldwide. 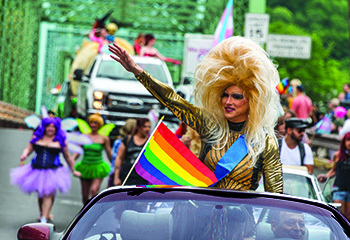 Set in the lush greenery of the Delaware River Valley, our Pride festival connects two towns in two different states by the New Hope & Lambertville Bridge. Drawing more than 15,000 people annually, New Hope Celebrates joins together the LGBT friendly towns of Lambertville, NJ and New Hope, PA.
Our festival features a grand parade with over 600 participants, beginning in Lambertville, NJ and crossing over the Delaware River into New Hope, PA. We feature both local and national marching bands, floats and nonprofit organizations. The highlight of the parade is New Hope Celebrates’ very own 100ft. Rainbow Equality Flag in eight colors! The week long festivities include special events, parties and educational activities, culminating with the parade and festival. Whether you come for a day or stay for the week, there is something for everyone! The keystone of our Annual Pride Festival will begin 11:30 am starting in Lambertville, NJ. and crossing the bridge to New Hope, Pa. We March Rain Or Shine! Are you an LGBT organization or supporting group and want to march with us? Wonderful! The fees below help to cover the cost of the Parade. In order to offset the costs of producing our parade, NHC recommends that all groups consider making a donation of $1-5 for each participant. You can add your donation upon checkout. We are taking Applications to be a vendor at the 2019 Pride Fair! 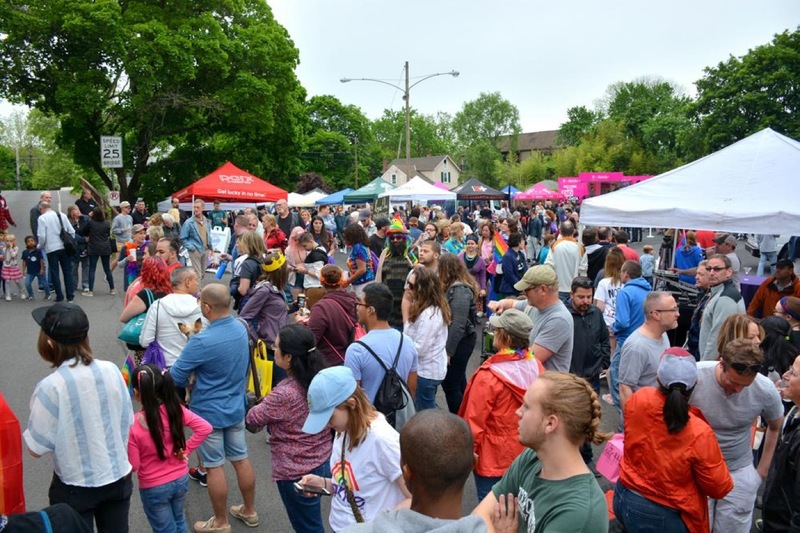 2019 Pride Fair opens to the public at Noon and will feature local artists and retailers, and LGBTQ+ owned and operated professional services, the New Hope Pride Fair is a great opportunity to connect with your community. Are you a local artist, retailer, or LGBT owned and operated professional service? Great, we’d love to have you connect to the community at our Pride Fair. 7:30 am – 11:30 am – Rain or Shine! Although we want to host everyone, we have limited room and cater to the local community prior to extending to other vendors. This is a wonderful opportunity to meet your neighbors, market your goods and services, and meet other businesses like yourself. 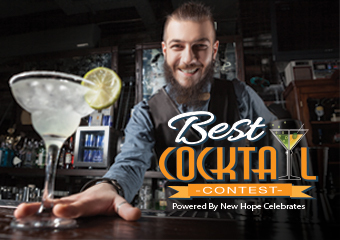 Must Be 21 with proof of ID to participate in this fun and festive town contest. If you can’t find a designated driver, please use Lyft or Uber for a safe ride home. Event dates, May 10th to 20h Every day during the PrideFest Week. to participate and for contest details. If your establishment would like to participate please contact The Best Team.